Whether clearing your own home or preparing a property for sale or to let, we make house clearances as hassle free as possible. As a registered waste carrier we are fully insured and can guarantee that all items are disposed of correctly. As well as house clearance in Ipswich, Colchester and Sudbury we can also carry out probate clearances in a respectful and confidential manner. 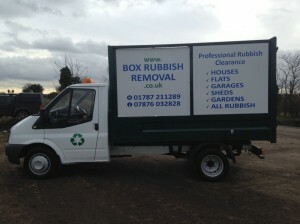 Unlike skip hire companies you will not need a permit for our service, which saves you time and money. Our friendly team will also load for you in Colchester, Ipswich, Sudbury and the surrounding areas.